I am working on an OOB airplane and want to add a pilot figure, like this, to the modell. 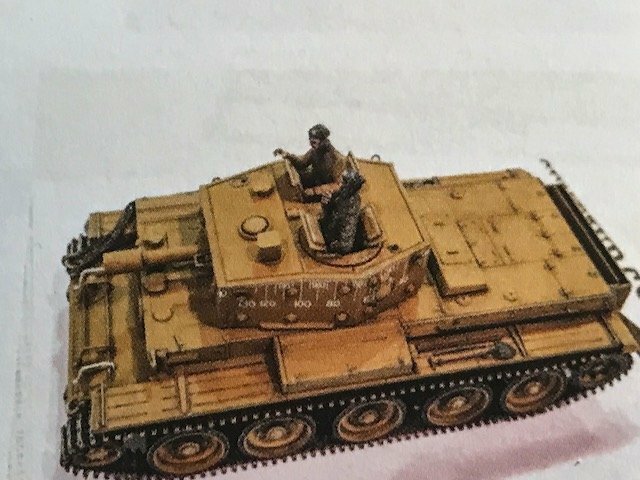 The figure is not part of the kit, but if figures are not judged unless it is a diorama or vignette, then it seems it should be fine, since it does not modify the kit in any way. Others might disagree. I have looked at the rules and have even discussed a similar question with Rick Jackson. His opinion is since the figure is not doing anything and is not judged, then it is probably not be a problem. The OOB rules make no mention of figures even though some models come with figures and have them included. At least one OOB winner in 2018 had a figure in the vehicle. Also, I think one from last year had a figure in it. If a figure is part of the kit, is it judged as a part of the model? Would that mean any kits with figures could have them judged as part of the model? Since the figure is not judged, there should be no conflict, in my opinion. The figure is more for a since of scale, than a strict enhancement to the model. I intend to add the figure regardless. The difference is whether I make the effort to bring it or not to the National. I don't want to waste space transporting an OOB model which will get bumped into a category where it has absolutely no chance. To me, the issue is whether or not the figure is judged. To say it disqualifies the model, implies some fear that it will be judged and that throws a cloud on figures in the regular categories. Can open: worms every where! I'm considered a pretty liberal/lenient judge....but I have to say that in my opinion adding that figure violates at least the spirit, if not the letter of the OOTB rules. 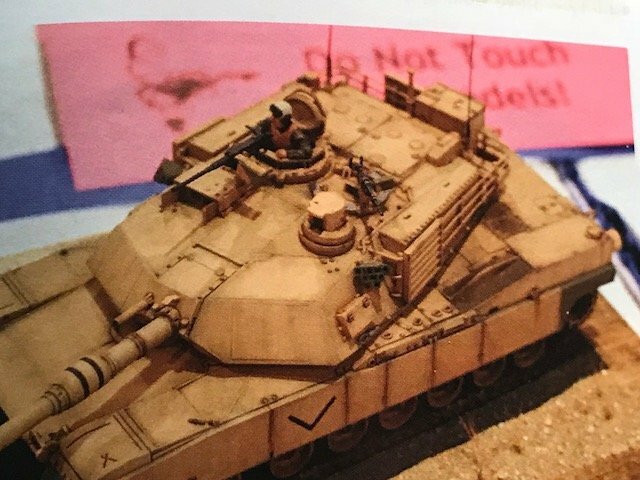 To start, the purpose of OOTB is to separate models with ANY "outside" enhancements from those with them, whetherthey be bought aftermarket items or scratchbuilt items. You've added something that is not from the kit, directly ON the model. Why do so unless you're looking to enhance people's (and judge's) overall impression? Lastly, I'll join in on the "slippery slope" argument. If you allow this, then you can add (again, theoretically) resin under wing rocket tubes, after market wheels, and a vac canopy and write "ignore THOSE items". It's a SUPER looking mode, as is the pilot. Why limit yourself to the OOTB category? Enter it in the regular category and let the chips fall where they may. If I was chief judge, I'd move it from OOTB if placed there. By the way....you're welcome! My posting this judging opinion almost assures the head judge will rule against my opinion and let you in! ONE figure not performing any task is traditionally allowed for scale and not judged. I would suggest NOT placing the figure on the model, rather on the ground. FWIW. Just when you think you have seen everything lol. It's a tweener. I remember one year there was a figure "Japanese ww2 pilot" standing beside his plane... (In a figure category) and I believe it placed. So if the figure judges can do it why not aircraft judges? I see the logic of it adding to the model so that could put it into a regular category. You may say disregard the figure but Gil has a point. Although we have pressident with the Japanese pilot figure. We also had a 32nd Spitfire this year with a pilot standing by the tail in a regular category where the pilot wasn't judged. So where does this go? Oob A/c, regular A/c, diorama, or a figure category?. Its a good question but I have a feeling it probably would remain where the builder put it unless it blatently violates a rule. Just my 2 cents. As an ex-head ship judge, we (the head judges) had an "unspoken rule" that the modeler in the event of a category placement question, the modeler gets to choose. Nick, you gave me an answer on another subject that I think could apply here. 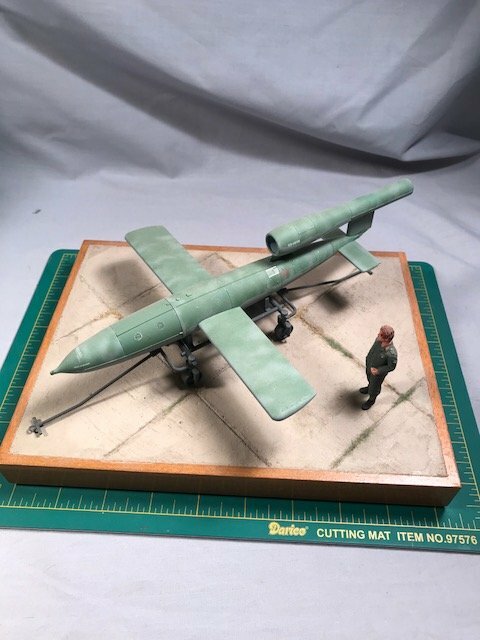 I suggested putting a figure in a aircraft display to give it scale because the kit was of a very small subject and the model was larger than the "normal" scales. I had asked about placing a figure or object that was painted in primer gray on the base strictly to highlight the relative size and scale. You opined that that would be ok. I think that by doing it in primer gray, the purpose of the addition becomes obvious. A well painted figure enhances the visual appeal of the model as much as serving any other purpose. First, a clarification. 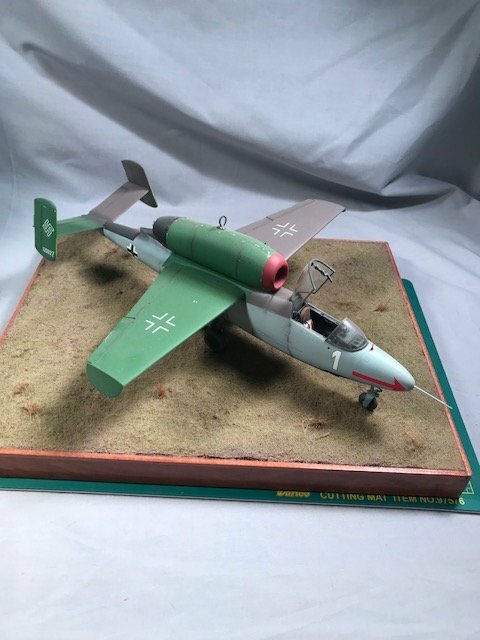 The Me-109 shown above is not the model I am talking about. In fact, it is not even my model, it is just being used to illustrate my point. My model will be on a scale scenic base with the figure standing on the airplane and that will not change. All I am seeking is a clear understanding before I pack up and transport a large model 900 miles (1800 miles round trip) to Chattanooga, only to find the entry MUST go in a category where it does not have a snowball's chance in hell of even placing. If the head judges consensus is no to the figure, then I will make no plans to bring the model to the contest. The model I have under construction is being done as a study in assembly, painting, and weathering. The kit does not even have seat belts. I have neither the interest or time to turn it into a competitive model for a category like 131 or 135. 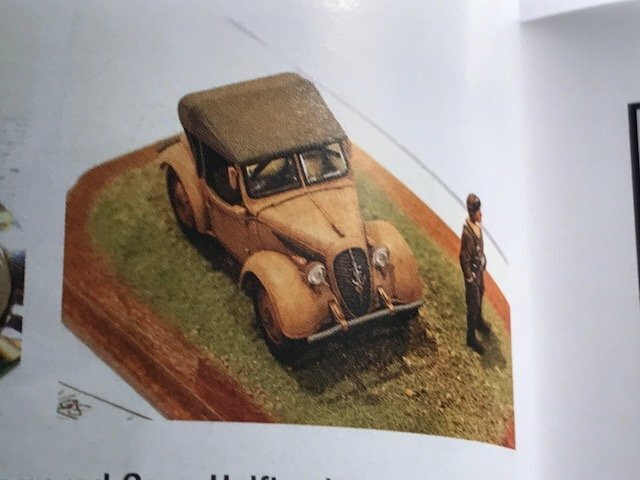 Having read the 2018 rules, several times, my view is even though the figure is not part of the kit, it in no way violates the letter or spirit of the law because figures are only judged in the diorama and vignette categories. The pilot figure can be ignored just like any other model with a figure. In fact, I am planning on an OOB submarine with a similar display. An OOB 1/35th Bronco Type XXIII U-boat with a crewman standing on the hull. Again, the model itself will in no way be altered. Certainly, all figures are used to enhance the model, but they are regularly ignored while judging and I see no difference here. As you can see from the pictures below, figures are common in the OOB armor. These appear to be Tamiya kits and come with figures, which raises the question.....if figures are actually part of the kit, should they be judged in OOB classes? But that is a separate issue for another day. Unfortunately you may not find what you are looking for here. All we can do is only give our opinion. That and whatever a cup of coffee costs will get you said cup. It really is up to the class head judge and it may take some discussion amongst the judges and the class head to make the final call at the contest. So now it's really up to you if you want to bring it and take the chance. Yes as Nick said , where the entrant places the model shows where they want or think they should be. That is taken into account. And if I were a betting man I would wager that's "Probably " what would happen, it would stay put. BUT I nor any other judge here can't give you that info since we are not the ones making the call. I have been entering contests for 50 years. During that time I have learned there are some areas you don't compete in unless you are prepared to go all in. With this model, I am not. My current project has no seatbelts or a dozen items I regularly see in winning models in categories like 103, 120,131, 135, etc. As for OOB, note that one category...132... only had two entries, this year. However, as in shooting craps, past performance is not guaranty of future performance. I make no assumption that OOB is a cake walk, but the is a definite difference in truly competing and merely being in the category. Traveling 900 miles, I choose to bring those models, which in my opinion give me the best chance. It is a distance thing, a couple hours away, I might say what the heck, and bring it to show. But twelve hours on roads I know are going to be bumpy, no way. I have several other pieces which could take up the same space and are a lot easier to transport. As for the U-boat, that is a different thing. I have two of the Bronco kits and plan to build one full hull and one in a diorama. Since there is not a lot you can do to a submarine model before it becomes a diorama, OOB seems like a good place to enter it and I always include figures with all my models. We began discussing the concept at my local chapter and I felt the question would be a good one to discuss and get some broader opinions. So, do you feel the figure on the OOB airplane violates the OOB rule? if so, why? You pay your money, you take your chances. Here is what I would recommend. Build the model to the best of your ability.You stated > (During that time I have learned there are some areas you don't compete in unless you are prepared to go all in) Well I would counter that you should always go all in if you are competing at the Nats. Don't ever think you can enter something and not put your best effort forward as you have no idea what will show up from year to year. What areas at the Nats don't you have to be prepared to go all in??? . So add your figure, enter it in OOB. (IF) it gets moved into the regular category due to the addition of the figure then you are ready to compete there since you have built the model to the best of your ability. Always put your best effort forward. Don't assume because it doesn't have belts or other things added that it will be dismissed especially since you will have the instructions included with the entry and that your original intent was to enter it OOB. The team will see that and note it. My main point being don't assume anything one and two don't assume it's out of the running because it's an OOB build that got moved to a regular category. I have seen models stay in OOB with weapons added that weren't called for in the instructions. Unfortunately it's not all as black and white as I think we would all like it to be since every eventuality is impossible to plan for. So all anyone could really say is be ready for any eventuality. Or if you have quams about the distance then wait until the Nats are closer. That's what I had to do this year with 3 of my builds. I finally got the chance to enter two 32nd scale builds and a 350 ship dio. So there is my opinion, build it, bring it and show it "Sound familiar ? LOL"
Don't take this the wrong way, but you are missing the point. This model is an interim project for me; a simple study in painting and weathering. I think it will look good and based on my study of the OOB categories, I feel it would be competitive there, but no where else. I want to move on to other, more important projects and not spend a lot of time on a subject of minimal interest to me. I am looking for opinions about the figure, not suggestions about whether to enter it in OOB or another category. Building the model my way is more important than entering the contest. I have contacted the NCC and have asked for a ruling. I don't even want to bring the model, if I can't place it in OOB. An OOB tank takes up very little space in the car. Large models of even small aircraft take up far more space as well as being more delicate. I read the rules closely before I enter a National and do my best to conform to the established rules and I have no particular problem with them. However, as noted in the rules, not everything can be covered until it comes up. Additionally, you are coming off somewhat condescending. I have plenty of contest experience over many years, in several different regions and I build six to ten models.....mostly dioramas.... a year. You may have also noticed my name on Journal articles for the past couple years. My original IPMS number was way lower than my current one, but I dropped out for several years getting my current one on my return. The standing question is....does the addition of a non-kit figure violate the spirt or letter of the OOB rules? I say it does not, for reasons stated earlier. Assuming that a category under-entered one year will continue to be so and will therefore be a slam-dunk the next is drawing to an inside straight. Full disclosure: I have tried that myself years ago. It does not work. I can assure you that you are not the only contest entrant or reader of the latest Journal with it's Contest results who noticed the low numbers in 132 and are also greedily licking his or her chops as they anticipate Chattanooga. Furthermore, as the National Convention moves about the country, the interests and target categories of the different attendees will affect category "census." Certainly didn't want to come off as condescending. That was not my goal. Just to give you the insight you were looking for. If I did come across that way you have my apologies. I do have to ask, why do you think it wouldn't be competitive no where else? it's when you make statements like that (See below) that lead me to believe that you think OOB is looked at and judged differently. Nick, now you are being condescending. I am not a novice and have plotted categories like a degenerate gambler at the roulette table. If you bother to read my previous posts, your questions would be answered. In short, if I can't enter it where I want, I see no point in bringing it. See above posts. I don't bet the hard ways at the craps table; I do place bets. Jim, you have never given an answer to my question. Ok. I'll give it a go as I try to wrap my head around your logic of 1)adding something to an OOB build and 2) only to ask for it to not be judged. I wonder why it would be done in the first place BUT with that said I would say that if it's done in other classes as you have shown with the photo's then I guess it would be allowed in A/C as well. But that is not my call. Now DAK , will you answer my question as to why you feel an OOB model wouldn't be competitive in a regular category when OOB builds openly competed in the past and won in regular categories 33% of the time? It has been interesting to read this thread. I will add a small but salient point from the 2018 nationals. By way of illustration, you mentioned figures in the AFV category. 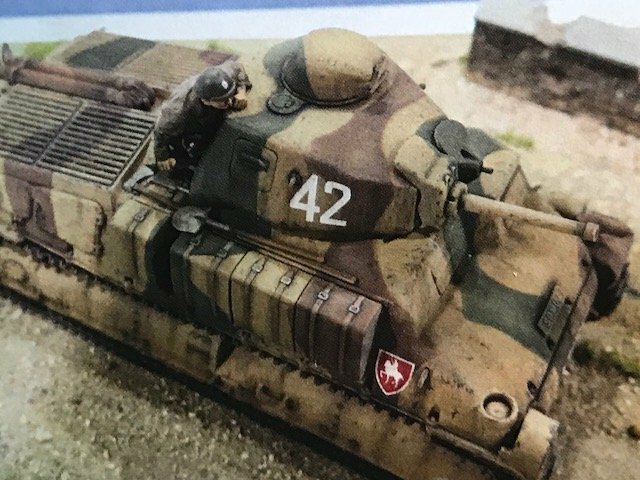 I witnessed(but was not party to) some serious heartburn by some modelers about what happened to some who had figures in their tanks. A number of them were moved to the vignette or diorama categories, so allowed figures in AFV's is not without its controversy. The situation is not the same. In this case, having read the rules, I found a loophole which would allow me to enter a model I had originally not intend to bring along. I have helped sort out the armor at nationals and in those cases the wailing and gnashing of teeth was because people ignored the rules which had been available for a long time. In my case, if the NCC says no deal, then I simply will not bring the model and no hard feelings. First, I am adding nothing to the model. The figure in no way alters the model and the rules state the figure will not be judged....I am not asking for it to be ignored, merely seeking to confirm my understanding of the rules. 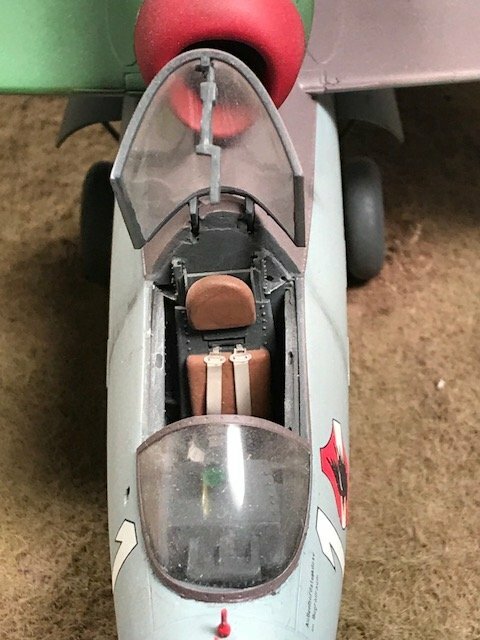 As to why I don't think my airplane would be competitive in other categories...…60 years building models, 53 years entering contests, and 40 years judging under IPMS, AMPS and MMSI rules. I am a strong midrange, multisubject, model builder, not a specialist. Additionally, I am a real gambler, not just metaphorically and there are some games I do not play or bets I do not make. At Chattanooga, I expect a strong turn out from Atlanta and most likely the mid west states. My gambling instincts tell me it would be a pore bet to waste cargo space on a model that, at best, would have a one in three chance of placing. My handicapping would only give it a 7 to1 in a regular category. For example, the U-boat is a bit different. The differences between submarine OOB and regular submarine categories is marginal, hence it is a better bet. This is the Revell 1/32nd He-162. I has won several awards for finish, but will never see a national because the seat is crooked. The seat and bulkhead are a CMK aftermarket and is molded crooked and I did not catch it until it was too late. Given the three category 137B, 2018 winners, it would never make the final cut, so why waste space in the car? 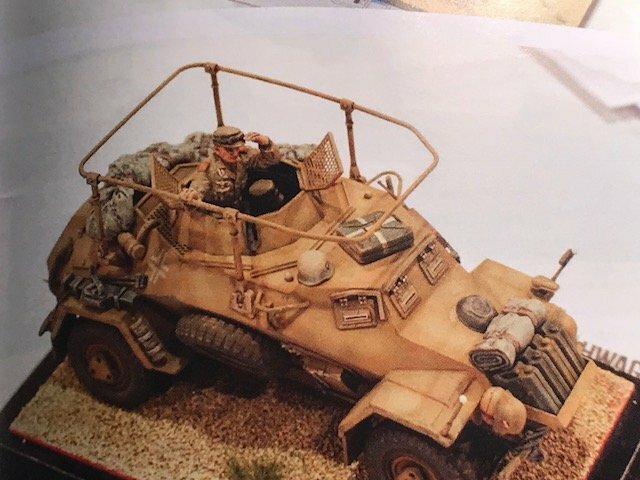 The V-1 is the 1/32nd Bronco kit. Fairly well done, but modified, so it can never be OOB and the figure is clearly not a crewman, so it could be bumped into dioramas. personally, I always want it in Field Rocketry because it was operated by artillery units, but most times, they want to put it in jets, or drones. I choose not to enter them to avoid problems. I will stand by my own opinion that while you may be within the letter of the OOTB rules, you're violating the spirit of the category. Since you've been "entering models for 50yrs" then you surely realize that the OOTB categories were created for the purpose of not having to go head to head with the honchos (which you admit IS your purpose). It's a place for people to compete against each other with ONLY what comes in the box, and nothing else. You get to choose "the box" you go with, but since you chose one without a pilot, why should you be condoned or given a pass for adding one from elsewhere? That said, as Jim pointed out, we're merely giving OUR opinions, and NONE of them matter. What you need is for Bill Devins or Mark Persechetti to chime in with a definitive DECISION (versus our opinions). Once more, this is a sore spot with me, as I believe if you're Head Judge or the Chief Judge you should be here no less than twice a week just to look for topics like this where their expertise is needed. Perhaps one of them will chime in here by next Monday, but if experience holds true....don't hold your breath! That said, there's nothing to prevent you from emailing the NCC and asking them the question and asking for a "ruling". Since you don't want to waste your time, and you don't seem to want to accept the advice or criticism from the experienced judges who have chimed in here, that would seem to be your best course of action. Good luck! If you took the time to read my earlier posts, you would see I have already emailed the NCC regarding the matter. Additionally, you will see I have no problem if they do not agree with my reading f the rules. I simply will not bring the model aircraft to the contest. The rules clearly state the figure would not be judged unless in a diorama or vignette category. Since the actual model is not altered in any way, I fail to see this as a problem, myself. It's a place for people to compete against each other with ONLY what comes in the box, and nothing else. You get to choose "the box" you go with, but since you chose one without a pilot, why should you be condoned or given a pass for adding one from elsewhere? As to your remark, you know this is blatantly untrue. Over the years, the rules have changed allowing things not in the box to be added. And the type of models being entered reflect this, also. because they might effect the judging? OOTB categories were created for the purpose of not having to go head to head with the honchos (which you admit IS your purpose). I'm not sure I understand this remark. I do not want to put this model up against the "honchos" as you call them, which is the reason I sent the NCC an email. Do not get angry because I found a loophole in the rules. I ALWAYS make sure my entries conform to the rules and I have repeatedly emailed the NCC for clarifications. As I said, if I can't enter the airplane in OOB, then I simply won't enter it. I was not planning on doing so before I discovered the loophole, so it is not a problem. I will continue to build and display my works as I see fit and if they do not conform to the rules, then I don't enter them. I am not whining about how unfair it all is, merely trying to take advantage of a loophole. Do you think figures included in the kit should be judged in OOB? I would think as part of the kit, they should be.